Please join Villanova University’s Earth Day Committee in celebrating the 43rd anniversary of Earth Day on Monday, Apr. 22, 2013. Falvey Memorial Library’s Speakers’ Corner will host the first event of the day at 8:30 a.m.: a panel discussion on hydraulic fracturing, also known as fracking (the propagation of fractures in a rock layer by a pressurized fluid), in the Marcellus Shale formation of Pennsylvania. Five panelists including Steven Goldsmith, PhD, from the Villanova University Department of Geography and the Environment, Ruth McDermott-Levy, PhD, from the College of Nursing, Jerry Mead, PhD, from the Philadelphia Academy of Natural Sciences, Joseph Nye, Eastern Pennsylvania Program Organizer for Clean Water Action, and Susan Phillips, reporter for WHYY and StateImpact Pennsylvania, will discuss the pros and cons of fracking. Nathaniel Weston, PhD, from the Department of Geography and the Environment will moderate. A complimentary continental breakfast will be provided. 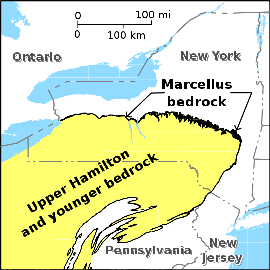 Natural gas extraction in the Marcellus Shale has produced jobs, helped reduce dependence on foreign oil and produced profits for landowners who lease mineral rights for drilling. But it has also caused damaged roads; contaminated groundwater in wells, reservoirs and sensitive environmental areas; methane releases into homes; increased seismic activity and acidic runoff that causes soil erosion. Following the panel discussion, Earth Day 2013 activities will continue from 11 a.m. to 3 p.m. in lower level Connelly Center, where a sustainability fair will showcase indoor exhibits from environmental organizations, VIDA (Villanovans in Defense of Animals), student displays and raffles. Villanova’s new director of sustainability, Liesel Schwarz, will introduce herself to the community. Concurrent with the indoor sustainability fair, Dining Services will host an outdoor farmer’s market with fresh local produce, breads, ice cream, beverages and free food samples from 11 a.m. to 2 p.m. Proceeds from the farmer’s market and sustainability fair raffles will benefit Tsinelas of Hope, the Philippines, towards the purchase of a mobile environmental classroom. The keynote address, presented by Katherine Gajewski, sustainability director of the City of Philadelphia, will take place at 4:30 p.m. in Connelly Cinema. Ms. Gajewski will discuss Greenworks Philadelphia, a plan that sets 15 sustainability targets throughout the city, including energy, economy, engagement and equity, with the intent of making Philadelphia the greenest city in America by 2015. The day will conclude with an 8 p.m. showing of the documentary film: “Planet Earth,” in 201A John Barry Hall. This film is sponsored by VEG (Villanova Environmental Group) and includes unique footage from all seven continents, giving insight into not previously seen species, locations and events. 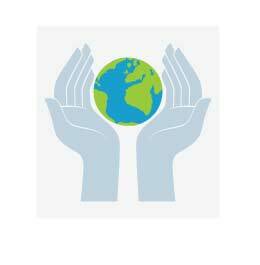 All Earth Day 2013 events are free and open to all students, faculty, staff and the general public. Please come and enjoy as many as possible and hopefully take away a greater appreciation for the need for continuing environmental stewardship. Donna Chadderton, a library information services specialist, is a member of the Villanova University President’s Environmental Sustainability Committee and Earth Day Committee.